Investing, basically, comes in many forms. People invest in time, energy, and most commonly, money. Surely they want to be sure that what they work hard for will also work hard in itself when invested. There are also various levels in investing. Some people take a dip and some really take the dive. Besides, if you’re going to go skydiving at a higher feet, wouldn’t you bring a parachute that can endure the pressure and wind upon falling? If you expect to skydive at a hundred meters from the ground with a parachute with a lot of holes in it, you know where you’re heading. Likewise in investing, if you expect bigger returns, you have to be willing to take the bigger risk, intelligently of course. And what better way to take on investing than in real estate? Empirical evidence shows that this type of investment can help you generate income continually overtime and it’s generally one of the greatest investment option out there. Private money investing, becoming a private lender, possible real estate projects for funding, venture capital funding, weighing the advantages of private venture investing for real estate and more – these are just some of the topics that we are going to cover here. If you’re ready to learn, read on. What is Private Money Investing? When a private individual, or several individuals invest their personal money in real estate or real estate mortgages, that’s what we call Private money investing. Private venture investing focuses more on the source of the funds that is lent to the borrowers with, of course, a few considerations from the investor’s side; your side. It may sound a bit similar to hard money lending, however it would require easier qualifying and higher than normal rate and fees than the usual lending guidelines. Since it’s private real estate funding, it would be possible that there are more than one person or groups of people who can invest their money together. How to Become a Private Lender? Now that you know what Private Mortgage Investing is, you might be thinking about how to become a private investor. Think about this; owning real estate will enable you to reap benefits from the business, however, is there a possible way to earn similar profits without having to own one? Yes, there absolutely is and that’s by becoming a private lender. If you’re not aware, real estate investors are profiting significantly high with the current strong housing marketing. It would be a wise move to engage in this business as a private lender. Aside from that, the regulations on loan origination has become over stringent nowadays which makes private mortgage investing a great market to plunge in. This market has created extra borrowers who will now seek alternative financing for their real estate investments and purchases. Aside from housing, there are some private investor looking for highly profitable projects that would be possible for funding such as apartments, hotels, commercial buildings and more. These are just some of the projects wherein you can ask for subsidy. Whatever financial assistance the borrowers need the money for, private lenders will be an open source for them to go to. 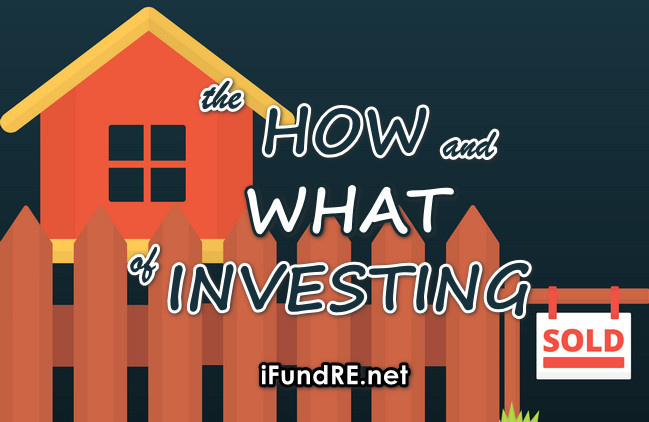 One of the most alluring factors why there are private investors looking to invest is that you don’t have to undergo twice as much trouble as investing in a real estate but getting possibly the exact income, or even more, out of it. That means no physical visit to the estate, no dealing with a lot of stressful details before acquiring profit, just pure lending of money through private lending brokers and receiving their bigger rates with the lowest possible risk. One of the assets that can glorify your portfolio to a new level is by getting the right commercial real estate investment. You need to consider a lot of important factors in order to evaluate the viability of commercial real estate investments. Investors should really consider this type of investment as a crucial exit strategy. The fact that such investment represents a great way to gain wealth makes it advantageous over residential investments. It offers higher income potential, steady cash flow, more attractive leasing contracts and lower vacancy risks. However, you must also be aware of the obstacles that would come along your way when investing. These undertakings, on the other hand, are completely avoidable if you get to understand the twist and turns of how the deals work. Real estate investors in Bay Area California should know that commercial investments rely mainly on purchased properties that are being used solely for business purposes. The space could also be leased in order to collect rent from the businesses that occupy the rented space. You may know these properties as retail, industrial and apartment buildings, warehouses, and office. 1. Think like a professional. In order to succeed in commercial real estate, you need to learn what the insiders know. You have to act and think like a professional, and see the investing world in that perspective. There are important things that you need to be aware of in order to have a greater chance of succeeding. You need to know the difference in value when it comes to commercial real estate and residential property, and in what ways you’ll get greater cash flow. If you’re in a tight financial environment, there’s still a way for you to invest in real estate even with bad credit. However, lenders would prefer for you to show some money before giving you a green light for the loan. A wise man will never go to battle unprepared. Likewise, a wise real estate investor like you should never engage in any deals without knowing first what you’re up against. The top priority when it comes to landing the perfect commercial real estate deal is to set parameters. You have to be aware of how much you can afford to pay and take a look around for mortgages so you will be able to estimate how much you will pay over the life of the mortgage. You can ask a mortgage broker to help you understand more of these things. 3. Know a good deal when you see one. Not all opportunities that present themselves to you are good and eventful. You need to learn how to recognize a good deal so you won’t fall into the bottomless pit of despair and regret. Always know that the best deals are those that you know you will be able to walk away from. An exit strategy is a must in order to know a good deal. As a commercial real estate investor, you must have a sharp eye to notice damages that needs to be repaired and the risks that you need to assess in order to ensure that the property you land meets your financial goals and expectations. If it’s your first time financing your real estate investment, you must know the dos and don’ts in order to survive. 4. Be adaptable when searching for great deals. You can use a three-pronged approach in this case to evaluate properties. One way to evaluate a commercial property is to study the neighborhood where it is located by going to open houses, talking to other owners, and looking for vacancies. This is what investors call the fine art of neighborhood “farming.” Another way of searching for great properties is through the internet, classified ads, or hiring a bird dog to help you in finding investment leads. 5. Acknowledge local market conditions. It’s very important that you are aware of the local market conditions. In order for you to do that, you need the market and the property in order to evaluate a real estate investment. Out of these two levels of due diligence, local market conditions weighs more. Remember that a great property placed in a bad market is a disaster. A poor property in a great market can be an oasis in the middle of a desert. You need to analyze the demographic trends of population growth, income, and employment in the local market in order to know where the opportunity lies, and where it doesn’t. These areas will decide whether or not your investment will succeed. 6. Have adequate knowledge on due diligence. Investing in something you don’t fully understand is like walking in a dark room without a light. You might fall a couple of times and it will be quite difficult to stand back up. The second level of due diligence is the property condition. This includes physical items like building systems, structural components, and environmental matters. However, intangible matters such as title, survey, and zoning and land-use regulations are equally important. You also have to know about contract law, insurance, finance, accounting, and tax law in order to do things right and avoid entanglements halfway through the investment. It’s important to ask help from professionals if you’ve never dealt with such matters before. Paying for professional to do the job is cheaper than paying for the loss that you might experience in the end. Commercial real estate investing sure isn’t rocket science, but it definitely deals with numbers you have to solve. There are calculations that you must do and operate that’s why it’s crucial that you get the real operating numbers and not just the projection of potential gross income and estimated expenses. You also have to consider the risk that increases for every assumption that you make. Never think that you can save expenses by cutting corners, like raising the rents after you possess the property. You need to make the numbers work in order to gain numbers. In the world of real estate investing, highly leveraged deals occur but it can be disastrous when it is not backed up by a solid plan partnered with a sufficient capital. You have to know that borrowing too much money in this business can be devastating. Unless you want to know how to become a private money investor, you need to make use of leverage properly. This is a function of deal structure and investment strategy, knowing that every commercial investment property must be evaluated in the light of the break-even ratio. Calculating the break-even ratio helps you in determining if you’re walking through a dangerous territory or not. 9. Prepare multiple exit strategies. Having prepared a lot of safety nets in case you wall will make you numb of the impact. You won’t ever feel the damage of landing from the fall. You need to have a realistic plan that will maximize the value of the property in the shortest time possible with the least possible downside. Having more than three exit strategies can get you out of the danger zone after a terrible fall. You need to learn how to get your money out of a deal when necessary so you won’t run out of money. Success, as they say, is a flight of stairs, not an elevator. 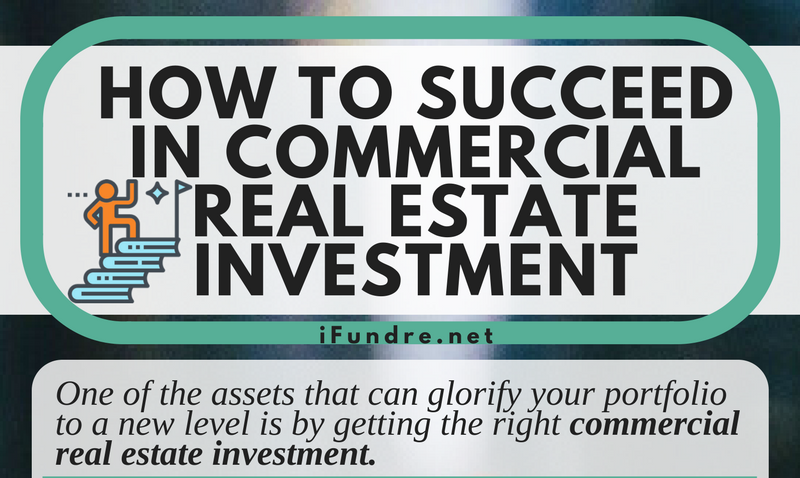 You need to go through certain stages in order to learn and grow and finally ace your commercial real estate investment. There might be difficulties and a bit of bumps along the road, but know that the land of milk and honey awaits you. These steps are but your guide in succeeding. The most effective step is your determination and drive to really succeed. The first step is always the most difficult part, but as you go along the process, you’ll realize it gets easier. Time is money. There’s no circumstance where that statement is truer than in the field of real estate investment. Every day that your property sits on the market, you’re losing bundles of money. Holding costs, security and liability risk, rising interest rates, and looming market crashes put your equity at risk. Here we’ll share some valuable guidance to improve the return from the resale of your investment property. Before you get started, it’s important to keep in mind some predefined goals that will direct your efforts and allow you to be more realistic and effective in selling your investment property. Get the most for your property when it sells. Sell it with the least days on market. Avoid selling headaches and risk. Real estate professionals can make your life much easier, and net you more for your property. Local expert real estate agents know your market, what the property will likely sell for, and what appeals to regional buyers. They can help you avoid over or under-improving your property (both will lose you money). Ask for referrals from others in the investment community. You’ll want to work with an agent that understands the needs of investors, and is capable in determining the value of your property by the market comparison and income approaches to valuation. Selling it yourself as a ‘for sale by owner’ or ‘FSBO’ might seem like an appealing choice to avoid paying a listing agent commission; however, for sale by owner properties typically end up selling for less and spending much longer periods of time on the market (increasing your holding and financing costs). If you want to net the most from selling your rental or rehab property, it’s an excellent idea to clean and declutter, select a neutral color scheme, get an inspection, make needed repairs, and stage the property. Taking these steps will tremendously increase the appeal of the property, and eliminate the objections that will more than likely be raised at a critical point in escrow. The best time of year to sell your property is in the spring and summer months. During these times there is the greatest demand from buyers looking to make their first buy, relocate, or move-up. Take advantage of the fall and winter seasons to ensure that the property is ready for all weather conditions. During this time, you can make updates to the interior, complete repairs, and inform your renters, if any, of your intent to sell (a courtesy, but not required). Choosing the right price for your property can be accomplished by understanding the list vs sales price ratio, the impact of utility costs on local values, demand for properties with similar features, and factoring in association fees and tax assessments. Play it safe by giving more weight in your valuation to sold properties, rather than those that are currently on the market. Active listings tend to have highly exaggerated list prices that do not give an accurate idea of the actual value of your investment property. Get it sold quickly by increasing your market exposure. If your price is a little high, you might still have a chance at selling it with an effective marketing strategy. If your price is in the pocket, you’ll have it sold in a minute with a solid marketing approach. Your first decision is to hire an agent or sell it yourself. When you work with an agent, you have the advantage of their experience, market knowledge, and network connections. Brokers and agents know and represent most buyers in the marketplace. Either way, ensure that your property is published online as broadly as possible and that the highest-quality photos, video, and virtual tour represent it. Make sure your marketing materials are mobile friendly and optimized for view on smaller devices. Don’t leave money on the table by showing weakness in negotiations. Select a tough agent or plan on what range of terms you will accept. Calculate how much you’ll net when the property closes. Insist that your buyer is pre-qualified, shows proof of funds, and offers a sufficient deposit and down payment to demonstrate their commitment and minimize the risk of an escrow cancellation. Selling an investment property is supposed to be an impartial and objective process that results in a straight forward sale and the highest price. That’s seldom the case as we get emotionally charged with the excitement of selling and negotiations. It can be an enjoyable process, that when strategically planned, can offer you a satisfying selling experience and the highest offers for your investment property. Stay focused and remember: time is money. 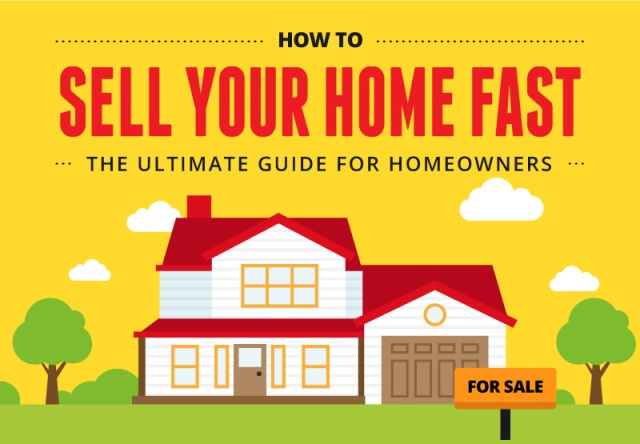 Here’s a useful infographic from Phoenix house buyers, Offer Climb on tips on how to sell your home fast. One fact that is not known to a lot of people who invest is this: becoming a private investor is one way of reaping the benefits from real estate business. The fact that the housing market is increasingly getting stronger, which enables real estate investors to have significant profit, makes it a wise decision to become a private lender. The extreme swing of regulations on loan origination from way too lenient to now over stringent is also another reason for private investors to venture in such investments. Now that these reasons have caught your attention, you might be interested in private money investing. To help you prepare, here are the things you need to know about becoming a private investor. 1. Private investments can potentially help improve your portfolio’s overall health. Such investments represent assets which can be much less correlated than other assets in your portfolio because they depict whole new classes of securities for most investors. This means that their value may not move in the same direction, time, and amount as your portfolio. Due to that particular reason, when you include private investments as part of a well-diversified mix of holdings, it’s actually possible that the overall volatility of your portfolio will decrease while its expected return will increase. 2. Technology makes private investing easier and more transparent. Due to the advent of technology, almost everything is possible. Even private money investing becomes as easy as clicking buttons because the online brokerage technology has become the norm in public securities trading, which in turn basically changed individual investing. Engaging in online brokerages lets you have an easy access and transparency to the deals and documents compared to the traditional system. 3. Seeking out well-connected people can be a good help. It’s not necessary that you are linked to tons of people; what matters is that you need to know the inside track to the right deal, and you only need to connect to a few people; just be sure that those few are great in what they do. If you don’t have someone to confide when it comes to the perfect deals, you won’t be able to know the investment opportunities lingering out there in the open. 4. Private Investors are basically the spine of real estate finance. Private lenders are treated such because they help business move through providing finances to people in order to acquire properties. When you become a private investor, it’s safe to say that a lot of people are actually counting on your money. You’re actually hitting two birds with one stone; you’re reaping benefits from your real estate investment while helping other people. 5. Private lenders are free from the burden of physically investing in real estate. Unlike people who fix and flip homes, private investors don’t have to deal with tons of details before acquiring profit when they’re successful. 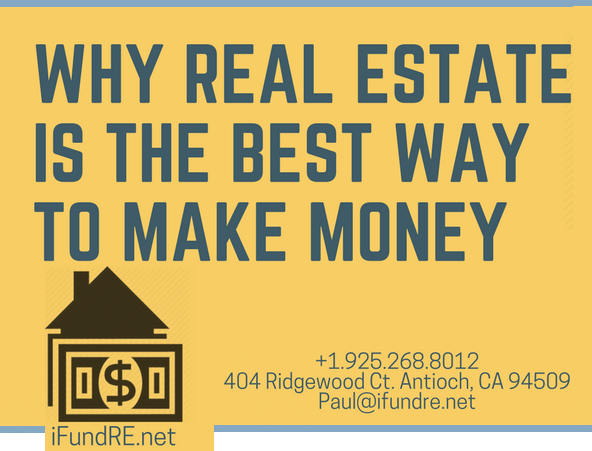 They only have to lend their money through private lending companies, like iFundre.net, while they receive their big rate of return with lower risk. 6. Private money investors are protected by private lending institutions. If you want to become a private lender but you’re not so sure about securities involving your money, you need to know that as you become a private lender, your endeavor will be protected. Private lending companies like iFundre.net partners with institutions that protects your investments in case some issues will arise with the borrowers or their property. 7. There are different types of private investments. This goes to show that not all private investments are the same. There are some equity, debt, and other types of securities. They can be in startup companies with a great potential for growth in the years ahead of them. They are also in companies looking for capital in order to expand their business. The key is to choose the type of investment that has the potential to be a valuable component to your portfolio. 8. Reviewing the borrower’s capacity to pay monthly is a must. As you become a private investor, remember that it’s very important to know if the borrower is able to make monthly payments. Otherwise, it wouldn’t be good for you or your investment. Although private money loans are often made based on the asset, or collateral, the fact remains that the best loans are able to give equal weight to the borrower’s past credit track record. 9. Secure enough liquid assets to cover the investment and any debts that may result. It’s very crucial to calculate your net wealth. A lot of nonprofits usually seek investors who have enough assets in order to cover the needs of the project. This will serve as your cash cushion just in case something goes wrong. In that way, you will be prepared to face the worst thing that will happen. 10. Contact your mortgage broker about private investment. When you invest privately, there are mutual funds that are created out of venture capital securities, which is basically a more disconnected way of becoming a private lender. These investments, nonetheless, have lower risk compared to direct investments. Your mortgage broker will be able to find the venture capital firms in the areas that you are interested in. 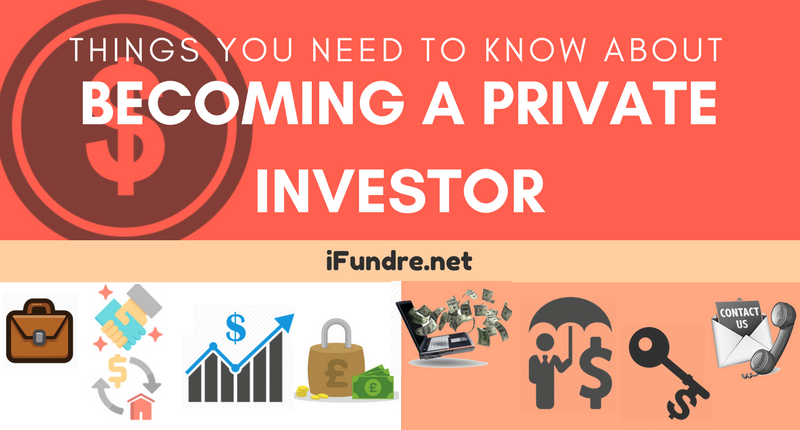 Becoming a private investor may not seem so familiar to you before reading this article. But now, after knowing some things about becoming one, you might be interested in that business. You can engage in this financial journey, but always remember to always have a backup plan and money. Remember to take risks and see how far your money would take you. You can share your journey or some points that other people should know when they become, or decide to become a private lender in the comment section below. Feel free to add up any experiences and tips that you can give to those who are just beginning to test the water. You can also share what you have learned as a private money lender. There are a lot of real estate investment strategies out there that could help you do a deal even with bad credit or no money. And it’s your lucky day because you are about to know 10 of these methods. They say ‘if there’s a wheel, there’s a way;’ such is the way of investing. Don’t let your financial status stop you from achieving greater things in the long run. Here are the 10 ways to help you invest in real estate even though you have bad credit. This type of real estate financing deals with loans direct from individuals and businesses that aims to finance investments for a return. This type of lending is great for real property investments that require immediate funding, easier qualifying and/or involve difficult or complex transactions. Unlike the traditional loans you get from banks and other private financial institutions, hard money loan program releases additional capital to you and other would-be borrowers without unnecessary delay and heavy restrictions, so clearly, bad credit is out of the picture. If you’re looking for construction loans in bay area, you can definitely count on this type of loan to achieve it. This means that a private, an individual or several individuals’ personal money is invested in real estate or real estate mortgages. It focuses more on the source of the funds lent to the borrowers, as well other considerations from the investor’s side. This type of lending fills a need in financing that is more lenient on the qualifying, more diverse and acceptable to more complex transactions than traditional institutional bank type funding. This is perhaps one of the most common tips for real estate investors with bad credit because of its give-and-take relationship. This means that one investor can make up for what the other lacks. This could work with the former finding a property at a good price while the latter finances it. The most important thing about this is to be able to bring something on the table, as well as having a defined goal, risk, and roles in order to build a strong partnership. Another great option for real investors to have a bay area loan source even with no money down is through home equity. This is the value of ownership that is built up in a home or property that represents the current market value of the house minus any remaining mortgage payments. This could mean that there is a higher rate of gaining more capital because property values have increased in recent times. This option lets you make money from real estate while allowing other people to have home ownership. This means that you have the right to buy a property at a specific price within a specific period of time. This is the “option” that you have, although you don’t necessarily have to buy the property if you choose not to. Most of the time, the perfect candidates for a lease option are home buyers who have bad credit but have reasonable amount of money for a down payment because they have the time to correct their credit if the option term is up to three years. This sort of loan doesn’t necessarily give the person selling the property the right to become a private lender; it’s just that the buyer loans from the seller instead of borrowing from the bank. This way, the buyer can purchase the house, but this comes with both parties signing an agreement as to how much is the interest rate, when the payment should be made, and what the consequences of default should be. Truly, this is unlike any traditional loans. 7. Making your own Mortgage. This method lets you create your own mortgage in order to finance your investment in real estate. No one will check your credit situation, and you definitely won’t need an upfront cash payment. You might not know this but a lot of investors buy privately created mortgages and trust deeds because they can get a really great return in their investment in the long run, and also because it is much safer than investing in stock market. 8. Boost your Credit Score. The only way to get out of a bad credit is to improve it. You must understand your credit score first before indulging in real estate. This is a statistical method for lenders to know whether or not you are able to repay the money you borrowed. Having good credit scores secures better mortgage rates, which means you can have long-term savings and great benefits as an investor. This method ultimately doesn’t require you to have a high credit score not a great amount of money down. It all simply boils down to finding discounted properties and assigning the contract to a potential cash buyer for a higher amount, only as payment for doing so. You really need to have patience, time, and great marketing skills in order to make an awful lot of deals. This strategy might not be suitable for every investor in every circumstance but this can actually be a wonderful way for you to start your financial freedom journey. This involves taking a loan from 401K which is basically just your own money. Typically, there’s a maximum amount that can be withdrawn, and the loan must be paid back within one to two years. The bottom line is that the only person whom you owe money to is actually yourself. So take that money and turn it into an asset now. Whatever strategy you have decided to pursue, always remember that you have to appropriate it to your present condition. Besides, if you really want something to happen, you look for ways for it to happen, not reasons to quit. Investing in real estate takes guts and firm decisions that’s why only those people with such commitment prosper in this field. But with these strategies to guide you even with your bad credit, you can at least have a great start.Tell us in the comments below which strategy you think is best. We’d love to know your thoughts. There comes a point in your life where you are faced with difficult choices, and one of these is to choose between saving and investing. Although both can be done simultaneously, but to be honest, as far as being responsible is concerned, having to manage two types of financial matters can mean having too much on your plate. That is why you need to figure out which is better between saving and investing so you can start immediately and reap what you sow. The first thing you need to do is to know the difference between saving and investing. In that way, you will be able to place your financial status and needs in line with whatever way is best for you. Saving leans on the short-term goals where you can have a ready-to-go money for smaller activities that you’d like to do in the near future, say three or four years. This includes going on vacation or having money in case of an emergency. This means that you have access to your savings whenever you need it. This causes minimal risk for your money because your funds are insured by the bank. Aside from that, you can also earn interest albeit generally lower compared to when you invest. Investing, on the other hand, goes for the long-term commitment where you can achieve major financial goals. Take for example when you invest in real estate, you will be able to save for your child’s college education and not just for some summer trips. Although the risk in investing is higher than saving, it has the potential for higher returns. This risk eventually leads to your net worth increasing as you make profits for selling your property for a higher price than you invested initially. Saving usually goes out for purchases and emergencies. You save for things such as vehicles to ride on, or holiday trips to enjoy in a few months; basically things that are available as soon as you need them, where lower risk is entailed. It involves tracking your savings and putting a deadline to reach your goals. Say for example you are saving for your annual family trip; you need to earmark a certain amount to save in a specific period of time in order to know how much you are going to save monthly. Saving keeps your money safe but gives you very little return. This means that you put your money aside, usually into a bank account, and let it sit and wait until you need to spend it on smaller things like paying for a car, house deposit, or any emergencies that you need to take care of immediately. Investing makes money for you. When you invest your money, your goal is usually to make it grow and multiply. The things you need to know in investing in real estate allows you to gain properties and assets in which value increases overtime. This allows you to have the opportunity to earn more money than you originally saved. Whether you are saving or investing, there are some factors that you need to consider. First is your attitude towards the risk. If you want to play on the safe side and are contented with what you have now, you should save and keep your money safe away from risk. If you are more of a financially adventurous and patient person, investing is the right way for you. Investing in real estate, especially, can help you earn double or even triple the amount you saved. Second is your financial status. When you’re in debt, out of emergency funds, just went through a recent financial crisis or a major life event, saving could be the best passage for you. However, if you’re in your 30s and you’ve got all the money in the world and you’d like to retire comfortably in about 30 years, investing is the best way for you to take. You can look up to real estate investors on that side of the coin. Third and last thing to consider is your financial goals. If you intend to buy a new car or put down a deposit on a house, saving for like three years would be a great idea. On the other hand, if you want to pay for your child’s college or wedding fifteen years into the future, investing would fit you best. To sum it up, if you want your money untouched for specific small occasions, then you need to save. But if you want to see your money grow and multiply into the future, you have to invest. Now, you decide which is better; to let your money sleep or to let it move and do some work? 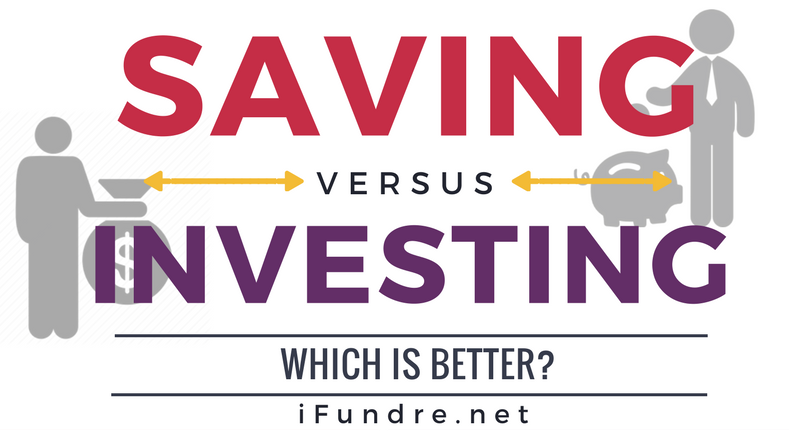 In the end, deciding whether to save or to invest depends entirely on your goals and financial situation. You need to be sensitive enough and financially aware and wise as to which path to take. But ultimately, saving money should almost always come before investing money. If investing is your ultimate goal, saving money would most definitely take you there. But remember, don’t wait too long to invest; the best time is always now! Investing in real estate is probably one of the biggest – yet one of the best – decisions you’ll ever make in your life. And just like what they say, you need to start young. Don’t ask yourself when the right time is, because the right time is always NOW. There are things you need to know in investing in Real Estate and you should understand these things before diving into the water. People get hooked up in real estate investing because aside from it’s one of the best ways to get rich, it’s also quite easy to get started. You heard it right. You don’t have to be an expert or a genius regarding this area in order to invest. As a matter of fact, some of the most successful property investors didn’t even know they could earn fortune through property. It’s only after realizing how much wealth such investing can generate did they finally take the leap. Another reason is that investing in real estate is much simpler than stocks and shares. Research can be done quickly online or by visiting suburbs without needing to pay specialists to fill you in with so many details. You don’t have to understand how a system works, or delve into the complex world of trading, research brokers, and fund managers. All you need is a good eye and the will to invest. It’s also relatively quite easy to get finance when you invest in real estate. There are a lot of ways for you to have monetary support for your investment in this area so you won’t be blind as a bat when you start. However, if you’re a first-time real estate investor who has the faintest idea about these, let us tell you how. This can be private, individual, or several individuals’ money being invested in real estate or real estate mortgages. It is the source of the funds that are lent to the borrowers including some other considerations from the investor’s side. This is quite similar to hard money in some cases, but it is quite more distinct because of lender and borrower’s relationship with each other. In private money, the lender is an individual who wants to have higher returns on their cash and are much less business oriented compared to hard money lenders. This type of lending fills a need in financing that is more lenient on the qualifying and more diverse and acceptable to more complex transactions that traditional institutional bank type funding. If you need immediate funding, easier qualifying or complex transactions, this type of lending is great for your real estate investment. This program releases additional capital to you and other would-be borrowers without any unnecessary delays and heavy restrictions, unlike traditional loans from bank and other private financial institutions. Hard money loan is primarily based on the value of the property and has shorter term lengths with higher interest and fees to get the loan. Hard money lenders usually don’t require income verification and credit references. It can fund a deal in just days. Although this can be great for short term loans, you have to be cautious in using your hard money by having multiple exit strategies as your safety net. This type of loan is a feasible option for your real estate investment if you are looking to buy a property with more than five residential property units. While other options just focus more on the residential side of the loans, commercial loans typically have slightly higher interest rates and fees, as well as shorter terms and different qualifying standards. This type of loan is usually availed by developers or investors to purchase or construct apartment or condominium buildings. Commercial lenders can extend a business line of credit to finance other investments most of the time. This allows them to have access to the cash for house flipping and other ventures in real estate. In order to avail this type of loan or credit, you have to have equity in your home. This is a type of a loan wherein loan payments are based on the value of the borrower’s home or property. A lot of financing institutions and banks has different services that let you tap into the equity that you’ve already got. For example, an investor purchasing a property don’t have to try financing the investment property itself, rather they can take out a Home Equity Line of Credit on their own home to pay for the property. You can search about Real Estate Financing and Investing regarding this matter to understand more about this. Having partners in investing can help you finance a deal especially when the piece of property that you want to invest in is a little way over you price range. This is where your equity partner can be a great help in which you can add to your team. This is someone that you include in a transaction to help you finance the property. Your partner can either finance the entire property or just fund the down payment, whichever way suits you both. The thing is that you have to analyze each situation regarding how the deal is going to be, who will make the decision, and how the profits will be split at the end. This is another way of financing a property for you. This happens when the owner of the property that you want to buy will fund the property while you make your monthly payment to them, rather than in a bank. This is possible when the owner owns the property free-and-clear, meaning the property doesn’t have an existing mortgage from the seller. If it does, the seller’s loan must be paid back immediately before facing foreclosure. Owner financing is a great way to own a real estate without having to go through a bank’s hassle process, if of course, the conditions are right. One way of getting monetary support for your investment is through a bank. But as a first time real estate investor with a tight budget for down payment, going to a large national financial institution might not be the best option. This is because those establishments might not be flexible unlike your local bank. Your neighborhood bank also knows the local market better and is more interested to invest locally. Now you’ve got plenty of options to choose how you want your first real estate investment to be financed. All these options can help you in their own way; you just need to figure out which one suit you best. Research more and plan according to take your first step and the rest will just follow. Remember, NOW is the perfect time to invest. 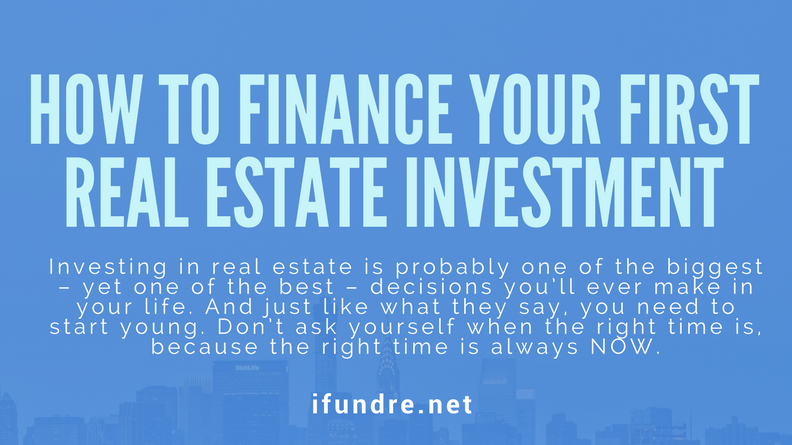 Nobody knew about the personal struggle and the sleep-depriving process that you had to go through before arriving with the final decision to invest in real estate. You only know that it’s the best decision that you’ve made! All the pros and cons you weighed, all the risks you were willing to take finally led you to this moment. Now that you’re done with all the difficulty of settling, brace yourself now for what’s about to happen next. But don’t worry; you won’t go down that path without a light. 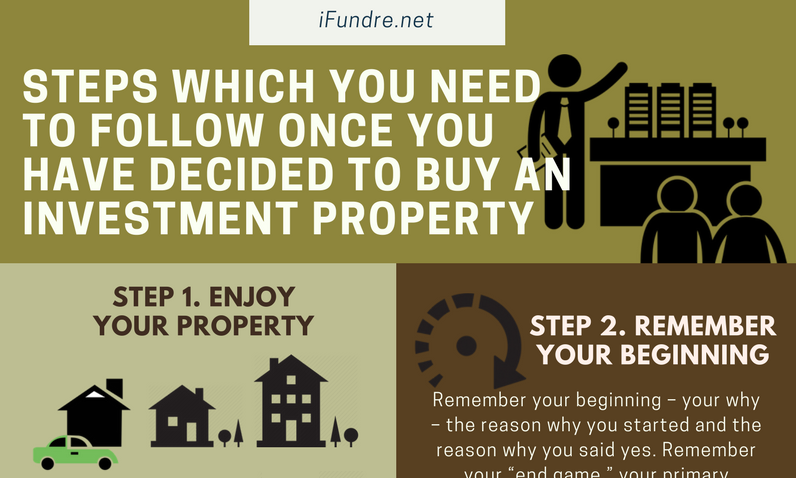 Here are some helpful steps that you need to follow after deciding to buy an investment property. A lot of real estate investors almost immediately rent out or sell their property after buying them. That might seem like a convenient choice for some, but for professionals, they tend to look at the big picture first, which is this: enjoy the property for at least a couple of years and then do whatever you want with it once you have accumulated enough wealth and are financially equipped to live somewhere new. As you go through this whole process of buying an investment property, it’s normal to have some cases of wanting to go back or canceling everything. The thing here is to remember your beginning – your why – the reason why you started and the reason why you said yes. Remember your “end game,” your primary motivation in diving into the deep abyss of real estate. Then you will be able to strategize and outline your plan, your next move. You can actually buy your own property without the help of a mentor but always consider that even kings have their own adviser. If you’re a strong, independent person who can take on the real estate world on your own, you might want to skip to step 4. But if you’re new to this business and you would want to hear a professional’s opinion to objectively help you out, then this step is crucial for you. It’s important to have a mentor who sees what you see; who knows what you want to do and helps you to achieve that. Be sure to choose someone whom you respect and has a legit experience in the type of real estate investing that you’re venturing. One of the most important factors of investing is your finances. You have to consider very carefully and seriously that buying a property is equally important as finding the right property. If your investment doesn’t go well as planned, which is very unlikely by the way, you have to make sure that you can still land on your both feet. For example if you want to join small investors in larger projects, you have to make sure that it won’t cause you any serious damage, when thinking about worst case scenarios. You have already done the math when you had the idea about the kind of property you to invest in, and the mortgage that you can afford. Everybody knows that you shouldn’t dive down deep waters if you don’t know how to swim; in the same way, you can’t barge into the real estate world without doing the proper math first. You need to educate yourself with the expenses, income, cash flow, etc. so you will know where your money goes and how it reaches you. Whatever kind of decision you have made, whether you want to invest in new home construction or other properties, it is vital to exercise your plans. It is the outcome of vigorous researching and thinking that led to your specific goals and plan; it’s important that you stick to them so you won’t get lost. Always remember that real estate investment is not a hobby which you can tolerate impulsive behaviors. It is a business and you must treat it as such. Only make decisions that could help propel you upwards rather than pull you down. Nobody is an island – this principle applies fittingly to the real estate world. Don’t isolate yourself from the outside world and stop thinking that you can do this all by yourself because, honestly, you need to hear other people’s story as a head’s up of what will happen in the future as they have probably encountered that same situation before. Reach out to other local investors and build relationships with them. That is one way of learning as a beginner real estate investor. Learn from the experiences of successful investors and try to get a few tips from them whenever you can. This is the most exciting part in buying an investment property – shopping for it. There are also a lot of ways for you to find the perfect property you want to purchase. There’s websites online where you can find listings, or you can contact brokers or agents in the area you are searching. It’s very important to find an agent who knows the area full well and is well-acquainted with what you’re looking for. The risk you are willing to take indicates the kind of strategy you are going to use. You have to understand your own attitude because your strategy will reflect it perfectly. Of course, you never take risks without having the pros and cons in mind; especially when you know which side weighs more. When you’re fully ready to take the risk you can take, you’re more than ready to purchase. After finding the investment property that qualifies everything on your list, you now have to make an offer. Of course, before doing so, you have to make sure that you have clarifies all necessary details big and small to avoid unwanted regrets. Be sure that you only spend the amount that you are capable of which meets your standards. Don’t be fooled by your emotions, again, real estate is business, so treat it as such, leave emotional ties behind. After going through all these steps, you are now ready, more than ever, to make your purchase and let yourself in the world of real estate investments. Remember, there’s no backing out now, only moving forward! If you find these steps helpful, share it with your fellow investors. You can also share the personal steps you’ve taken after deciding to buy an investment property. Maybe at least a few times in your life, you’ve wished to be rich or at least to make money the best way possible. I mean, who haven’t? Perhaps that thought still lingers at the back of your mind that’s why you clicked this article. Apparently, there are many ways to make money. You can work full time, or work several part time jobs, engage on a business, invest in stocks, invest in real estate, etc and the list goes on. However, these days, real estate investing has been growing in terms of popularity and significance over the years. A lot of things from your investment in real estate budget are tax deductible. This may include, but not limited to, the interest, legal fees, depreciation, travel, repairs, insurance, supplies, association and condo fees, etc. However, this will ensure that you will save a good portion of your money from taxes so you can spend it on other things. You will never have to compromise quality time with your family again. They won’t accuse you of working too much or staying too late at the office. Investing in real estate can be a full time job where you can work in an office or at home – your choice. However, in some cases, as an investor you might not be at home all the time because you need to visit properties, or go to the bank, or manage your rental properties. However, you can reduce these workloads by having a professional property management that would help you do the hard work. As a real estate investor, you have an advantage over investment tools that you can use to help you find the best investment property and pay for it in the most convenient way in order to manage it well and decide what to do next in the moments to come. Private Money Loan Investing is also a great way to invest in real estate. This type of lending fills a need in financing that is more lenient on the qualifying, more diverse and acceptable to more complex transactions than traditional institutional bank type funding. You can gain knowledge from resources. Investing in real estate is one way of gaining knowledge and experiences when it comes to making money. Of course you just don’t dive into something without knowing about it first. Reading articles – such as this one – or newspapers, magazines, surfing websites, downloading mobile apps, taking real estate classes, meeting other investors and such can really help you learn a few things or two. As you can see, there are a lot of resources you can choose from. Minimum background knowledge is enough. You don’t have to be a genius or a professional before starting in real estate investments. In fact, that’s where all professionals started – at the beginning. You may be afraid to take the first step but you have to remember, it’s only hard at the beginning; it’ll only get better from there. You just really have to be willing to take risk and go on an adventure with new opportunities by expanding your perspectives in making profit. Real estate investing is not rocket science. It’s easy to learn as you go along. For example in Passive Real Estate Investing, investors can expect annual interest returns from conservative ranging from 5-7% to aggressive in the 8-12% range. That’s not too hard to understand, is it? You just have to learn the jargons and terms and calculations used in this field of work. Investing in real estate is like a living business. It’s living because it grows overtime. There are a lot of opportunities that give investors like you different growth strategies to expand your territories, much like a king. Having multiple properties provides you multiple income, thus earning more and more than you ever did the years before. Whether you invest in real estate or prefer to invest in new home construction, you can easily generate more income in a shorter period of time. The real estate business has got an arsenal of opportunities for investors like you to earn more wealth in the best possible way. On the other hand, construction loans are usually short-term loans but you can always talk to experts as to how their funding program can suit your needs. There are many faces to real estate investments. They come in the form of residential or commercial, urban or rural; in your city or out-of-state, single family homes, multi-family properties or condos; traditional or Airbnb renting; and the list goes on. You can pay either in cash or with a mortgage. You can choose to either invest on your own or in partnerships. You just need to figure out, or ask the help of professionals, what strategy suits your status best. There is always a possibility of earning now or earning progressively over the years with real estate investment. You can make money now and you can make money 20 or 40 years into the future through the opportunities that are always present to you as an investor. When you buy a property, its value will increase over time which means it will be worth much more than what you paid for it at the start. You can gain lots of money through that, or through other strategies. Unlike investing in stocks, real estate gives you the assurance of something that you can see and touch. And that is very much appealing to people because they seem to want to see first before they believe, thus the famous line “to see is to believe.” As an investor, you can even visit properties to look at because your assets are your properties and it wouldn’t be that easy to just lose everything. You are assured of progress when you deal with your investments professionally. May this list enlighten you and clear all the doubts you may have about real estate investing prior to reading this article. Take a giant leap of faith. Now is always the best time to start. Invest in real estate now and start your journey towards making money in the best possible way.